Do YOU Love to WIN? THE GAME OF LIFE – CAA Edition Contest Returns Sept 29th With Great Prizes! THE GAME OF LIFE – CAA Edition Contest Returns Sept 29th With Great Prizes! This year has been like the actual THE GAME OF LIFE board game for my family and I (not that all 7 of us would ever fit into that little plastic game piece car, with pegs for only 6 riders)! For example, I’ve watched all five of my kids advance to the school square, I’ve chosen a great career card and have re-entered the workforce full-time, and an extended family member has parked quite happily on the retirement square! Although our life is not a mere spin of the wheel, my family has been very nicely making its way around an imaginary THE GAME OF LIFE board game! Talking of THE GAME OF LIFE board game, THE GAME OF LIFE – CAA Edition contest returns for its fourth year on September 29th, and runs until November 23rd! Players in South Central Ontario have the chance to win over 2,600 instant prizes, and an incredible dream vacation! This was one of the only daily contests that I entered last year, because my kids loved watching the car game piece move around the board. It was also fun to dream that I could be the one to win the family vacation to Orlando, Florida! Although I didn’t win the contest’s grand prize, I did win THE GAME OF LIFE board game for my kids! It was electric when the winning notification appeared on my computer monitor, and later again when the prize showed up for the kids to unwrap. The GAME OF LIFE – CAA Edition online contest was just fun, fun, fun from start to finish! 1. Daily Entry - Enter THE GAME OF LIFE – CAA Edition daily for a chance to win great prizes, and earn entries into the grand prize draw for a dream family vacation to an Orlando theme park, OR a Norwegian cruise, OR an Argentina vacation! 2. Bonus Entries - Earn bonus entries by sharing your game activity on social media, and by inviting friends to play! 3. More Bonus Entries - Earn more bonus entries by winning mini games, and by redeeming GAME OF LIFE Dollars (G.O.L.D). 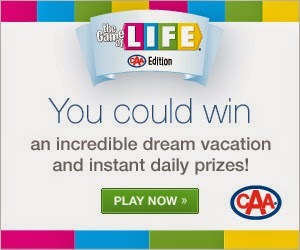 Check these in-game instant win prizes in THE GAME OF LIFE – CAA Edition! There are more prizes to win than the dream vacation! Play the THE GAME OF LIFE – CAA Edition CONTEST! CAA is known for being the most trusted name in roadside assistance. With a full range of products, CAA Members have access to not only Roadside Assistance, but life, home and auto insurance; travel packages and insurance; and exclusive access to savings and rewards at more than 164,000 retail locations and services worldwide. My family has been a CAA Member for generations, and I remember my late grandfather’s automobile affixed with a metallic oval CAA sticker on his rear car bumper. My husband and I have always been CAA Members for as long as we’ve been drivers, and it’s an invaluable membership to own with the Canadian winter as the natural enemy of cars. Of special interest, CAA recently helped me out of a tight spot just this week, and membership is worth its weight in gold! Contest open to CAA Members and non-members. Complete rules and regulations are available at www.caagol.com. HASBRO and its logo and THE GAME OF LIFE are trademarks of Hasbro and are used with permission. ©2014 Hasbro. All Rights Reserved. ®CAA and CAA logo trademarks owned by, and use is granted by, the Canadian Automobile Association. Follow CAA on Social Media! I love movies that we can watch as a family, and share quality time together. I love sneaking glances at my kids' laughing faces during the movie, when a vat of goo drops on a villain, or a robber snags his boot on a cleverly-placed tripwire. And I know that the kids love when their father and I sit down to watch a movie with them. It gives us something in common, and we often have family discussions about favourite parts of the movie, the scariest scenes, and of course, the funniest sequences of the film. Disney’s Alexander and the Terrible, Horrible, No Good, Very Bad Day comes to theatres on October 10th, 2014, and is very much a family movie. The comedy follows the escapades of 11-year-old Alexander (Ed Oxenbould), as he endures the most terrible and horrible day of his life. The day commences with chewing gum stuck in his hair, and is followed by misadventure after misadventure. Alexander's family lends him no sympathetic ear, and he feels like bad things only gravitate toward him. However, he quickly realizes that he’s in good company when his mother (Jennifer Garner), father (Steve Carell), brother (Dylan Minnette) and sister (Kerris Dorsey) all begin to live through their own terrible, horrible, no good, very bad day. Watch Disney’s Alexander and the Terrible, Horrible, No Good, Very Bad Day on October 10th to see how things turn out for Alexander and his family. Of special note, this movie is based on the well-known children's book of the same title by Judith Viorst. 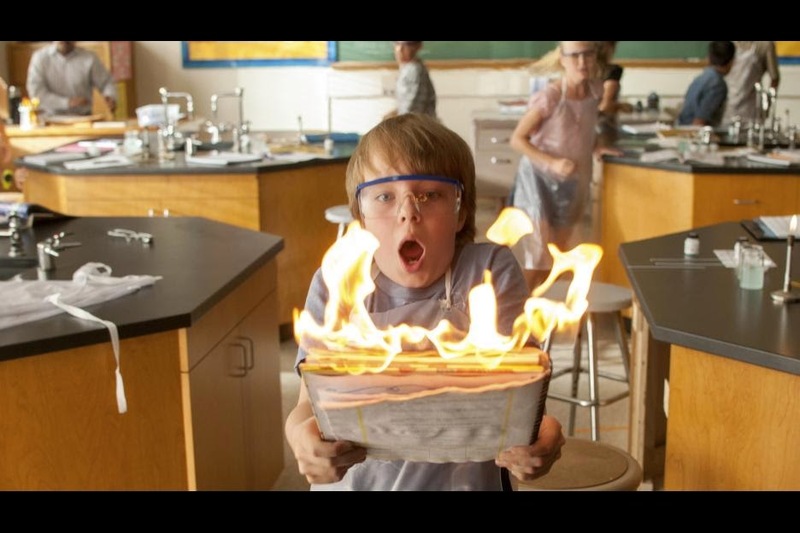 See the VIDEO clip of Alexander and the Terrible, Horrible, No Good, Very Bad Day, below! 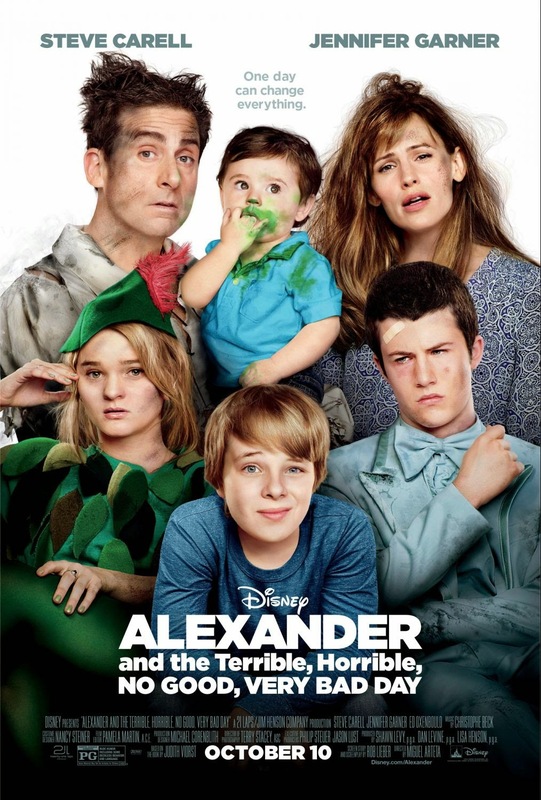 WIN Family Passes (of 4) to see Alexander and the Terrible, Horrible, No Good, Very Bad Day from SnyMed.com! Tickets available in the following 8 cities: Calgary (10/4), Edmonton (10/4), Etobicoke (10/4), Ottawa (10/4), Toronto (10/8), Vancouver/Burnaby (10/8), Waterloo (10/8) and Winnipeg (10/4). Contest ends on Saturday September 27th, 2014 - so we sure to check your e-mails over the weekend! Leave a COMMENT below stating one of the GREATEST days you can remember, OR, who you'd love to bring to the Alexander movie with you. Then use the entry form, below, to enter the contest. GOOD LUCK! I’ve always known my nine-year-old son would grow up and one day pursue a career as a scientist. We first learned of his dream when he was only three years old, as soon as he could start articulating his wishes. He had an insatiable appetite for knowledge, always asking “why?” in response to our answers. He was possessed with the need to drill down and learn biological and astronomical subject matter like a true scholar; to learn about every bacteria, pathogen, virus, disease and pandemic. My son‘s free time was spent watching YouTube videos on rabies and trying to find a cure for it by himself. He created word searches for his father and I, with words like “lethal infectivity,” “malaria” and “hepatitis.” One day he had researched Swine Flu so thoroughly, he couldn’t fall asleep that night. At bedtime, he kept asking me questions that neither I nor the internet could answer. Things like this keep my son awake at night: medicine, science and the universe. As the mom to five children, ages ranging from four to nine-years-old, I take the future of their education very seriously. I know that for my oldest son to achieve his dream of becoming a scientist, it will either take a scholarship or a great deal of wealth. Naturally, a scholarship would make things easy, but having a Registered Education Savings Plan (RESP) to help save for his education gives me the peace of mind — and a sense of certainty — that my son will succeed in his education. It was my husband’s idea to start paying into RESPs to help provide for our children’s future education. In fact, as soon as our oldest son was born, we got him a social insurance number and started putting away monthly towards his RESP. We have now paid into his RESP for nine years, and have eight years left until our son can use the funds towards post-secondary school tuition. I know that my son’s education will be the most expensive one out of all five of my kids, so it’s been wonderful to be able to finance his education over a 17-year period. I wish that I had known that I could have started saving earlier at the prenatal stage. With the births of our 2nd, 3rd, 4th and 5th children also came RESPs to invest in. Just as with our oldest son, we pay into their RESPs each month and can choose the amount that works well with our personal finances. With Canadian housing prices through the roof right now, I don’t want my kids to have outstanding student loans and never be able to save for a home. By planning ahead, we can spare our children from this harsh reality and give them the boost they will need. When my husband first researched Heritage Education Funds in 2006, he found the fees reasonable, the terms good, the payout attractive, that they had a long and stable track record, and he was impressed that there was flexibility in post-secondary school options (e.g. : a university education vs. a vocational school). After all, if you’re paying into an RESP for 17 years and find that your child wants to enroll in an ineligible programme, this can become a BIG deal. Did you know the basic Canada Education Savings Grant (CESG)* will add 20% to your annual contribution , up to a maximum of $500 each year for each beneficiary? The lifetime limit for the grant is generally $7,200. Additional CESG* grants may be available, depending on your income. If you’re on the fence about setting up an RESP for your child or children, don’t be! Figure out how much you can put away each month, and simply have Heritage set it up! Initializing the RESP shouldn’t be difficult and you can even pay by direct debit each month. I can safely say it’s an investment in your child you will never regret! WIN a $50 Tim Horton’s gift card from SnyMed.com – sponsored by Heritage Education Funds. Contest open to Canada - excluding Quebec, and ends on Monday October 13th, 2014. Leave a COMMENT below stating, what you wanted to be as a child—and if your dream came true. OR, tell me in which subjects or areas your child or grandchild is showing talent or promise (ie: mathematics, English, sports, etc). Then use the form below to enter the contest. BEST OF LUCK! My son was 6 years old when I noticed that the videogame he was playing was a live, online version--and had a live chat feature in the sidebar. I was shocked, as I had thought that he was playing a downloaded version of the game. When I saw my son type a message in response to another player in the game, I went into panic mode and snatched the iPad away. The message was just a harmless one, but it got me actively thinking about online internet safety. I immediately deleted that game off of the tablet, and started a dialogue about online safety with my children. Some of the rules that we established from that time on, was that mom and dad had to approve and preview any videogames being downloaded to the tablet. In addition, any user names associated with online accounts had to be impersonal, with no names and identifying features. So, instead of having a user name such as "Bobby Jones Toronto", we create generic user names that are neither tied to an actual person or location. Also, the kids are not allowed to use any chat features, and must use internet-enabled devices in rooms where a parent is always present. 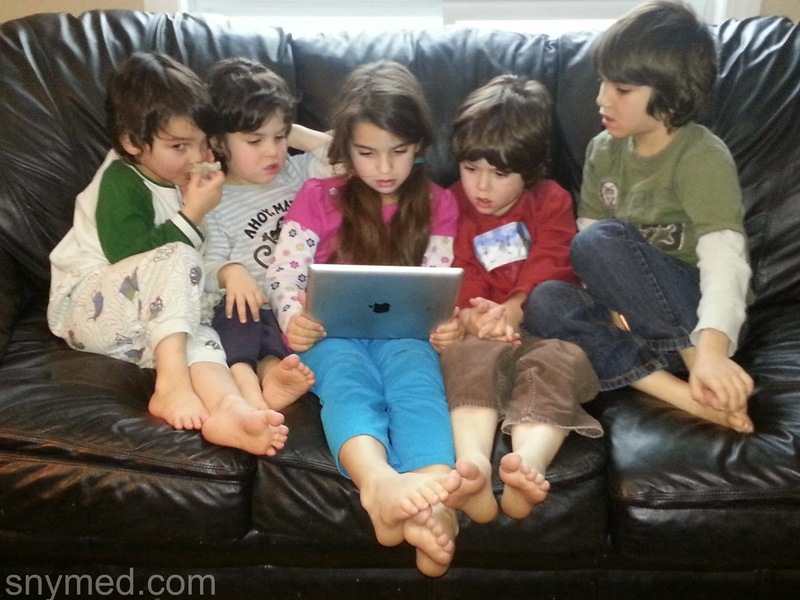 I did write about how Cyber Addiction effected my children in 2012, but we're doing much better now! I highly recommend that you read that article if your family is struggling with web and videogame addiction. 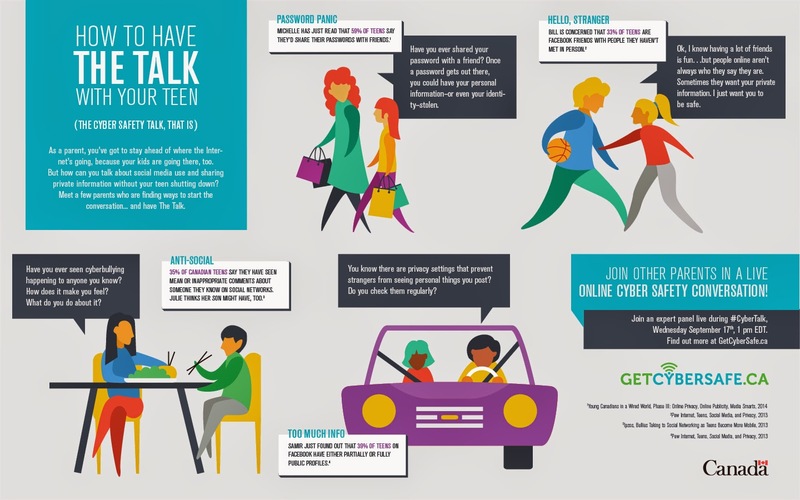 The Government of Canada's Get Cyber Safe is hosting two live, 30-45 minute, nation-wide online question and answer #CyberTalk sessions (one in English, and one in French), featuring a moderator, and a panel of parenting, youth and cyber experts. Ask questions in advance on the #CyberTalk event page, or on Twitter by using the #CyberTalk hashtag. Join in the #CyberTalk HERE. Disclosure: I am part of the Bell Media – Cyber Safety blogger program with Mom Central Canada and I receive special perks as part of my affiliation with this group. The opinions on this blog are my own. 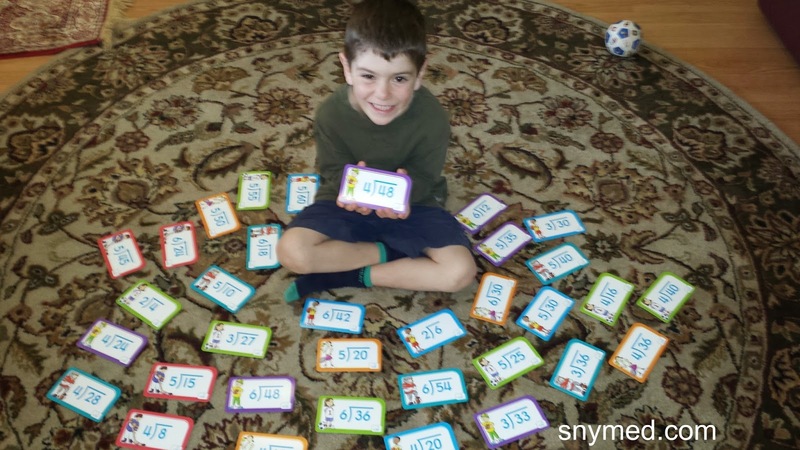 To build awareness of cyber safety, SnyMed.com is giving away a $50 VISA gift card! Although a contest participant may enter across many blogs, she or he may only WIN on a single blog. Contest open to residents of Canada, and ends on Monday October 6th, 2014. Leave a COMMENT below stating how you keep yourself, your child, or grandchild safe on the internet, OR, your biggest concern about internet safety. Then, use the entry form below to enter the contest. GOOD LUCK! 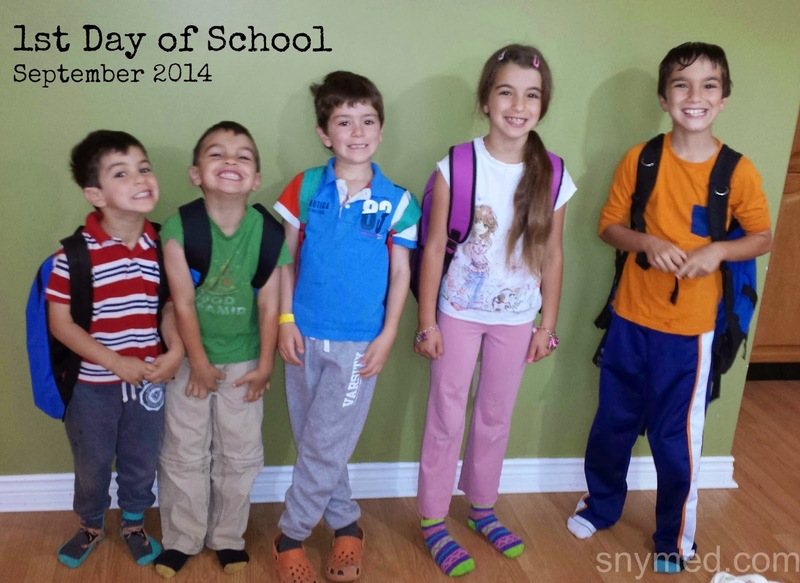 The first week of September was the busiest week of the year for our family, with all five of the kids in school for the very first time. Although we shopped ahead for back-to-school clothing, backpacks, lunch bags, and school supplies, it still felt like we were pressed for time. On the first day of school, we scrambled to assemble the lunches that we'd made the night before, get a good breakfast into the kids, get them dressed, washed, and out the door in time for school. It was definitely a scramble! To add to the chaos, teacher assignments were not handed out until the first day of school, so parents and students alike congregated in the school yard without any foreknowledge. However, it didn't rain on us that morning, and neither of my kindergarteners kids cried on the first day of school, so the day was a success in my eyes! This year the kids have suddenly become fussy about lunches and snacks; our 9-year-old will no longer eat sandwiches, and the other children will not eat certain meats. To address this problem, we've gotten the kids involved in choosing their own lunches and two school snacks. 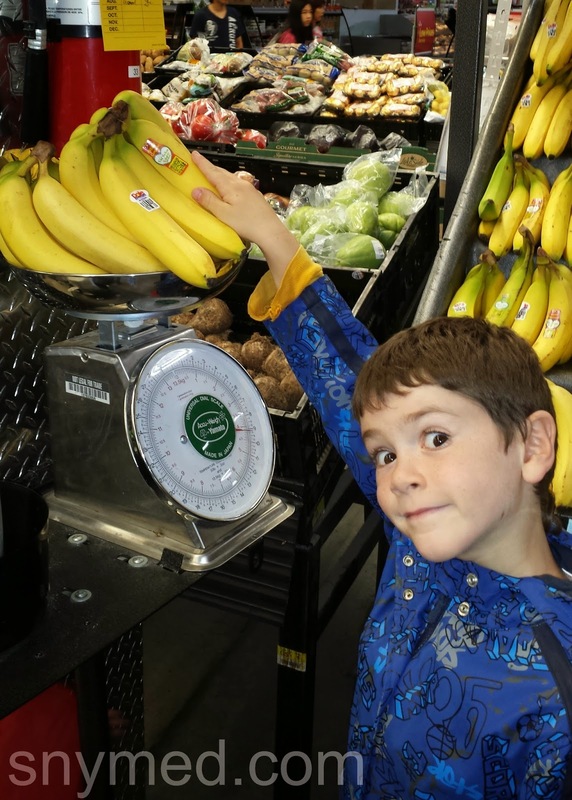 In the snacks category, the kids must select one nutritious snack (ie: an apple, pear, carrot or celery sticks), and one snack of their own choice (either nutritious or "fun"). The kids' school is peanut-free, so all lunches and snacks have to fall into that category. And rightfully so, as some children in my kids' classroom have life-threatening peanut allergies. It's that serious of an issue. On that important note, Bear Paws and Wagon Wheels now make snacks with Wowbutter, a peanut-free spread that tastes like peanut butter, so they’re appropriate for school lunches. The snacks are portable, individually packaged and labelled peanut-free. 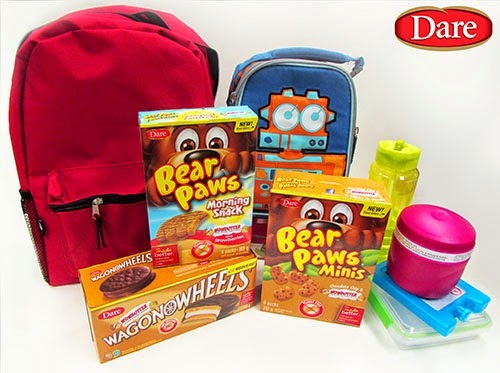 The snacks from Dare Foods are available in 3 different varieties: Bear Paws Morning Snack Wowbutter and Strawberries, Bear Paws Minis Chocolate Chip & Wowbutter, and Wagon Wheels Wowbutter. All varieties can be purchased in major grocery and mass merchandise stores across Canada. My kids like the taste of Wowbutter, and my oldest child thinks the flavour tastes like a cream filling. 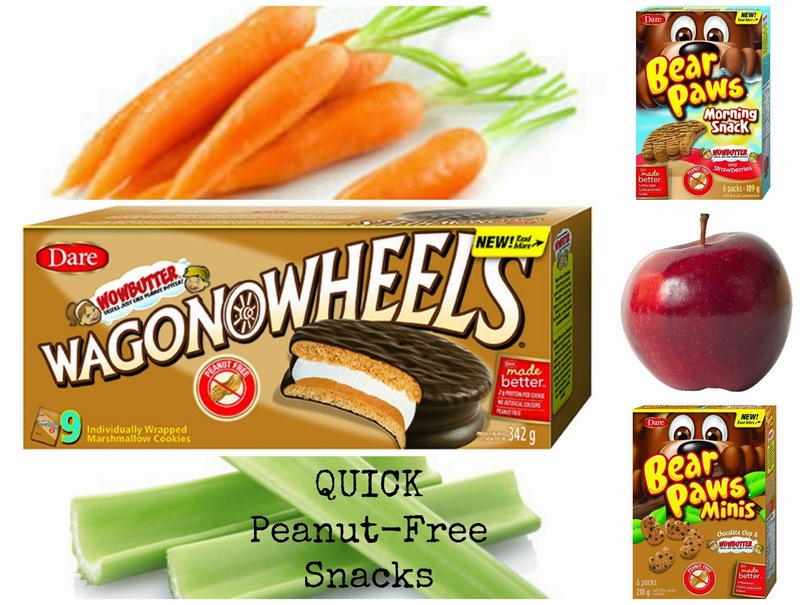 The Peanut-Free Bear Paws & Wagon Wheels Are a Hit! Did you know that Bear Paws has it's own Facebook page? Follow them for tasty snack ideas, latest news, promotions and contests! Disclosure: I am participating in the Dare Bear Paws and Wagon Wheels blogger program with enCompass Media and received product and payment as part of my affiliation with this group. The opinions on this blog are my own. WIN This Dare Canada Prize Pack From SnyMed.com! WIN a tasty Dare Canada prize pack from SnyMed.com, including Dare Canada snack products (Bear Paws Morning Snack Wowbutter and Strawberries, Bear Paws Minis Chocolate Chip & Wowbutter, and Wagon Wheels Wowbutter), lunch box containers, an ice pack, a water bottle, a lunch bag, a back pack, and a $25 Visa or Mastercard gift card! Note: prize may not be exactly as shown, and may include substitutions, including in product, styles, or colours shown. Contest open to Canada, and ends on Thursday October 2nd, 2014. Leave a COMMENT below stating if your child or grandchild's school is peanut-free OR what Dare Canada snack product you (or your child/grandchild) would like to try the most. Then, use the entry form below to enter the contest. GOOD LUCK! If you ever wondered what happens after your daughter or granddaughter grows out of the Barbie stage, it's ♫Monster, Monster, Monster High♫! I know that was the natural progression for my own daughter, and then...Ever After High (kind of in tandem). Now on September 30th, the NEW Monster High: Freaky Fusion movie comes to blu-ray/DVD combo pack! While teaching Frankie Stein about her unique "scaritage" (heritage), the "ghoulfriends" travel back in time to the first day of Monster High! There, they meet mad scientist Sparky, who has a passion for creating life. However, when Sparky follows the ghouls back through a time portal to modern-day Monster High, it results in eight of them fusing together into four hybrid Monsters! Now, the ghouls must co-operate to control their bodies in the big Bitecentennial Play and stop one of Sparky's experiments from destroying Monster High. (VIDEO) Check out the movie trailer of Monster High: Freaky Fusion, below! WIN 1 of 5 Monster High: Freaky Fusion movies from SnyMed.com! Contest open to Canada and the USA, and ends on Tuesday September 30th, 2014. Leave a COMMENT below stating if you have a family member who loves Monster High OR who you'd like to WIN this movie for. Then, use the entry form below to enter the contest. GOOD LUCK! 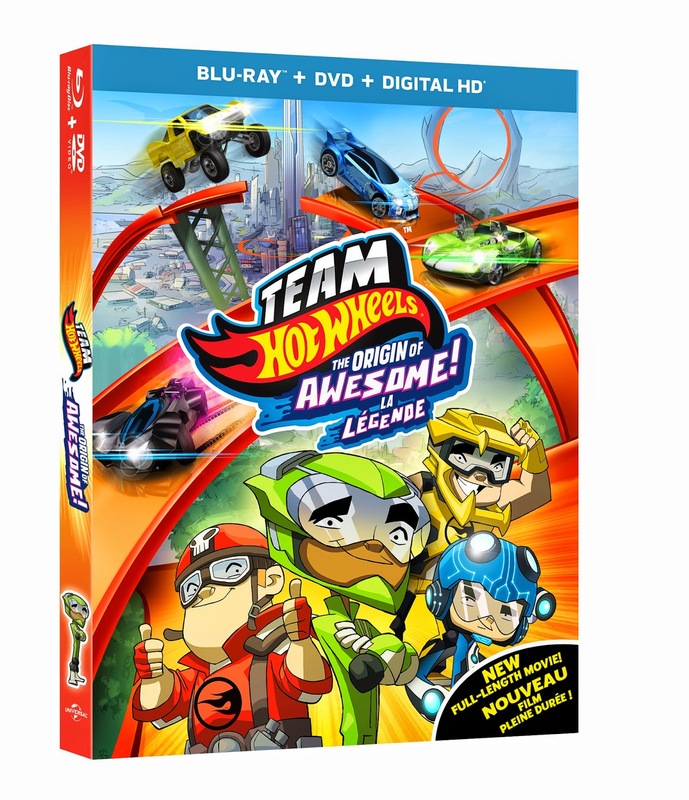 Grab your helmet and seatbelt, because Team Hot Wheels: The Origin of Awesome movie screeches to blu-ray/DVD combo pack on September 30th, 2014! This new, full-length movie stars Gage, Wyatt, Brandon and Rhett: seriously skilled racers and members of Team Hot Wheels! If you are the parent or grandparent to kids who are wild about cars, then this movie will fit the bill with lots of amazing cars to be seen! A mysterious black car roars into town, creating an orange track, odd transformations and out-of-control monsters. In this awesome adventure, Team Hot Wheels does its best racing, goes head-to-head with Mutant Machines, navigates a wild track, and works together to save the town! I like that the message of friendship and teamwork prevails in this film. (VIDEO) Check the movie trailer, below, of Team Hot Wheels: The Origin of Awesome! WIN 1 of 5 Team Hot Wheels: The Origin of Awesome movies from SnyMed.com! Contest open to Canada and the USA, and ends on Tuesday September 30th, 2014. Leave a COMMENT below stating if you have a family member who loves toy cars OR who you'd like to WIN this movie for. Then, use the entry form below to enter the contest. GOOD LUCK!